Be a trendsetter and set the bar high in Tiffany Designs 16272! Jersey material constructs the off the shoulder bodice with short bell sleeves that is adorned in ivory beading. 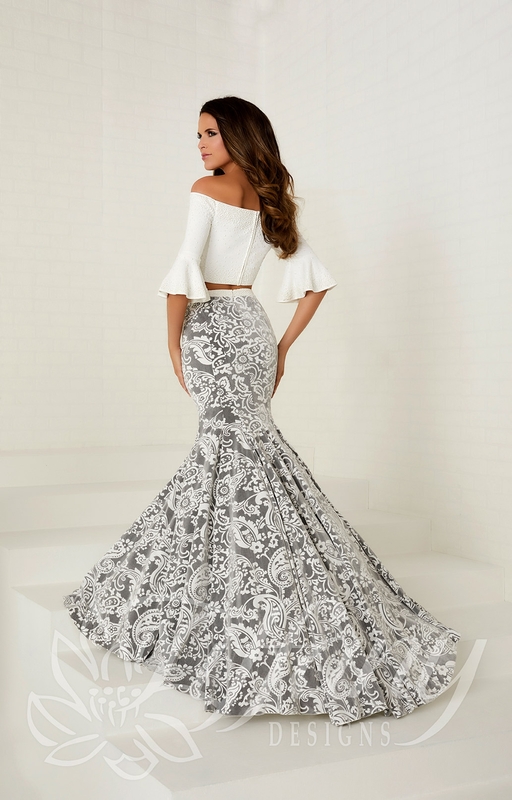 When paired with a velvet brocade mermaid skirt with a paisley print, you will jump to the top of the best dressed list!